You Are Here: Home » Gambling Blog » Gambling Articles » What Is Bad Beat Poker? What Is Bad Beat Poker? Bad beat poker is yet a further additional way in which online poker players can win money, in some cases just by being in the right place at the right time. 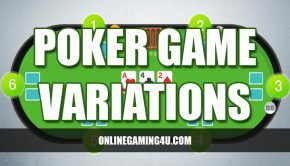 Poker sites frequently offer bad beat jackpots running into the thousands, which are usually divided between all the players at a particular table when the dreaded “bad beat” strikes. But what exactly is bad beat poker all about, and why does it attract so much attention from the online gambling community? Bad beat poker takes its name from the term used to describe particularly good hands that are ultimately beaten by an opposing hand, almost always in a one-on-one situation. 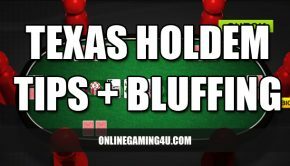 Usually, the term relates to hands that include 4 8s and above which subsequently loses out to an even better hand, although this depends on the particular poker room with which you’re playing. Here’s a quick example: let’s say you’re sitting with 4 Kings as the final round of betting gets underway. 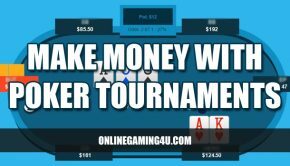 At this stage, even the most experienced poker player could be forgiven for upping the stakes and trying to maximize his gains from this clear winning hand – except your opponent is sitting with a Royal Flush, luring you into the trap in the knowledge that he is guaranteed to win the hand at play. Most players would consider this horrendous bad luck, and the term ‘bad beat’ has been coined to describe hands that turn out in this way. Ordinarily, a bad beat can spell serious damage to your funds (or serious winnings, depending on whether you’re holding the winning hand). But in bad beat poker, such an exceptionally unfortunate series of events is catered for, and actually rewarded in the form of a substantial jackpot. The jackpots tend to operate on the basis of a division between the player with the bad beat, the winner of the hand, and the remaining players at the table, often in favour of rewarding the bad beat with the most significant share. In some cases, all other bad beat players across different tables are also rewarded with a small share, thus it can be a particularly profitable form of poker, depending on the way the cards fall for you and the other bad beat poker players at the relevant time. Naturally, given the rarity of these kinds of situations, the jackpots can lurch into the tens or even hundreds of thousands, and are paid for from a small portion of the funds for each hand which is paid into the jackpot fund. The winnings are then paid when a losing hand surpasses a certain threshold as to trigger the bad beat, and no doubt go some way towards consoling the losing player! Bad beat poker is becoming an increasingly popular form of online poker play, and helps inject even more excitement into escalating hands. With substantial jackpots on offer for both the players concerned and the others around the table, bad beat poker makes for a gripping and potentially lucrative alternative to regular online poker play.